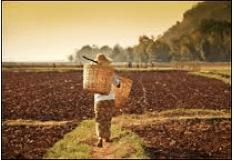 BY MALIA ZIMMERMAN – HONOLULU, HAWAII (Part 2 in a series) Kiet Jainukul planned to leave his wife, two young children, and native Thailand behind to work in Israel on a farm with hopes he could bring his family out of poverty. In 2002, when he saw a recruitment ad for a 3-year full-time job in America at $9 an hour, he jumped at the chance to make more money in what he saw as the land of opportunity. The problem: He says a manpower recruiter from SAIM TP in Udon, Thailand required him to pay 650,000 baht (approximately $17,000) in cash, even though Thai recruiters are not allowed to collect just 65,000 baht or $1,500 in fees. The recruiter escorted him to Krungsri Ayutthaya Bank also known as Bank of Ayudhya to borrow half the money, and he “went out of the system” to get the rest from wealthy villagers at a much higher interest, using his family’s home and rice farm as collateral. He never touched the cash. If he spoke English or wasn’t married, he would not be accepted, the recruiter told him. His level of education, which like most of his peers did not go past grammar school, also was noted on his form. When it came time to leave the country, and the money had already been paid, the recruiter told him he must not tell the Thai Department of Labor that he paid more or he would have his visa, job and deposit revoked. Scared he would lose everything, he kept quiet and signed a government document that said he paid the maximum legally allowed in fees and no more. He was optimistic that in a year, he could pay off the debt, and make two years profit. But in reality, that plan would never materialized. After leaving Thailand bound for Arizona farms, Jainukul was redirected to Los Angeles where Global Horizons was headquartered and spent a month in an apartment with 10 other Thai workers waiting to get to work. They only brought $20 to $100 each to America, and that money didn’t go very far in pricey LA when they needed to buy their own food. They mostly ate Saimin. “We were very, very hungry, but afraid to go out any place, because could not speak language,” said Jainukul. A neighbor concerned about their well-being began to cook for them, Jainukul says. Their first night in LA, founder of Global Horizons Mordechai “Motty” Orian came to visit them in their LA apartment. He told the workers who had only paid half of the recruitment fee upfront, that they would be transferred to Hawaii to work if they paid balance immediately. Orian told them to call their families in Thailand and get more money to the labor recruiters. Nervous about borrowing more money for the rest of the recruitment fee, but afraid to lose the opportunity for work, Jainukul paid the balance and was rerouted to Hawaii’s Aloun Farms. In Hawaii a month later, all 11 men lived in a relatively isolated fenced in property owned by Aloun Farms in the hot dusty country roads of Waianae. Unlike at home in Thailand, they were discouraged from leaving their residence other than to go to work. They slept on the floor on towels or mats instead of on a bed as they did in Thailand. Sleep did not come easy because the floor was uncomfortable, Jainukul missed his family and he was distraught over money. There was no television, nothing to do and nowhere to go from the Waianae house since it was so remote. They had to be driven to the store. Their half hour ride to work was in the back of a covered produce truck with no windows, no seats and no air conditioning. It was dark on the ride and Jainukul often didn’t feel well on the way to and from work. They had no passports – they had been confiscated so that none of the workers could run away. Even if they did, they knew their families back home would be financially responsible for the debt. Everything was relatively smooth at Aloun Farms for two months, but the third month problems arose. The 11 men were told while by a Global manager that their visas had expired and they were to be sent back to Thailand. They saw Orian visit Aloun, but he did not speak to them. The workers had not been paid in full for their third month and were concerned about returning home with so much debt. But the Global manager assured them they would return to American as soon as the visas could be worked out. “Soon” was almost a year, and all the while, the 11 workers looked for odd jobs and farm work to keep them employed so they could pay down the interest. They tried to get their money back from the recruiting agency, but they were turned down. In Jainukul’s case, his debt went from 650,000 baht to 1.3 million baht, because he had to borrow money from a local wealthy family to pay the interest on the other loans. He was afraid he was going to lose his family’s land because the interest kept multiplying. One year later, he came back to the United States via Global Horizons. During these last few years in America, Jainukul worked at farms in Mississippi and Georgia. While Jainukul was gone, his wife left him for another man and took their children. He misses them very much. His father and mother died and he could not go home while they were ill or for the funerals. Jainukul eventually ran away from the Georgia farm because he heard he was to be removed to Thailand again, and he had not paid off the debt. Returning to Hawaii, Jainukul had no home and no place to live, but he had friends. In Hawaii, he continues to work, but he is doing so illegally. As soon as he pays off 500,000 baht, he wants to return home to see his children. Jainukul’s story is not unusual. More than one dozen Thai workers interviewed by Hawaii Reporter said they had to be married to come overseas, but were now divorced. The workers who remain here, in many cases, are illegal and they are afraid to speak to anyone, especially anyone in the federal government who might deport them. Three Thai workers interviewed from the group of 11 who traveled together say they have been victimized and they blame the manpower company and Global Horizon. They said that the worst part is the debt and the fact that Global did not follow the contract or take care of the workers with living conditions, food, or payments, as they had been promised. Broken families, being unable to return home to see family members, a deeper level of poverty, and the possibility of losing their homes, also makes them extremely sad. “Nobody cares about us,” the workers told Hawaii Reporter. Clare Hanusz, a local immigration attorney who approached the Honolulu FBI about the Thai workers’ plight two years ago, is now representing almost 100 Thai workers employed by Global and Aloun. Working with attorney Melissa Vincenty, they are applying for T-1 visas so their clients can legally live and work in the United States until both Aloun and Global company owners are prosecuted and any of the recruitment fees are recouped and returned. In a multi-count indictment filed in 2010 and expanded in 2011, Orian, the CEO of Global Horizons, several Global employees, and two Thai labor recruiters, are charged with a “scheme” to import 600 Thai workers to America from 2001 to 2007. The charges include forced labor conspiracy, a document servitude conspiracy and threatening “serious harm” to workers. Additional charges related to wire fraud, mail fraud and money laundering are expected, Orian’s lawyer disclosed in court last week. On January 14, a 10-count superseding indictment charged two other people in Los Angeles, Joseph Knoller and Bruce Schwartz, as co-conspirators. The report says: “While working on farms in places like Hawaii and in several other parts of the country, they sometimes lived under brutal circumstances: at one place, workers were crammed into a large shipping container, with no indoor plumbing or air conditioning. Guards were sometimes hired to make sure no one escaped the living quarters. And workers sometimes witnessed threats of violence or experienced it first-hand. 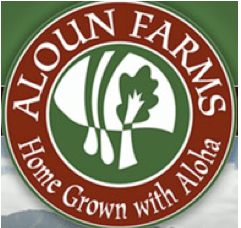 Orian told Hawaii Reporter that he came to Hawaii about a decade ago at the invitation of Aloun Farms’ owners Mike and Alec Sou. He eventually sent Thai workers bound for Arizona to Aloun for three months until they ran into a problem with their visas and were arrested. The workers were sent home and some chose to return while others did not after the visa issue was resolved, Orian says. 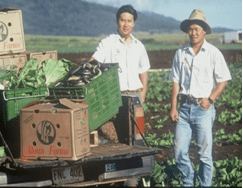 Aloun is the second-largest farm in Hawaii and its owners also have been indicted on separate charges of visa fraud, obstruction of justice and forced labor conspiracy related to the trafficking of a different group of Thai workers. Federal prosecutors filed an indictment in 2009 and then a superseding indictment on October 27, 2010, against the Sou brothers accusing them of 12 criminal acts related to a forced labor scheme involving Thai workers at their Kapolei-based Asian vegetable farm on Oahu. After first pleading guilty to one count and agreeing to a settlement in 2010, the Sous changed their mind. With lawyers by their side in federal court, the Sous withdrew their plea saying on October 30, 2010, claiming they are not guilty on all counts. The case is scheduled to go to trial in July 2011. The federal prosecuting team is the same on both cases and includes U.S. prosecutors Susan French, Kevonne Small of the DOJ Civil Rights, Honolulu-based US Attorney Susan Cushman and FBI Special Agent Gary Brown. Both Orian and the Sou brothers told Hawaii Reporter they are innocent of the charges brought against them. Orian’s exclusive story about why he started Global Horizons, how he got into the manpower business and what he thinks about the charges against him, are detailed here. The manpower company could not be reached for comment. Emails to another company involved with recruitment, KS Manpower Company, also did not return emails from Hawaii Reporter addressed to the President, general manager and information officer, asking them to address the workers’ accusations. Part 1: Hear from Global Horizons Owner Motty Orian in an exclusive interview. Editor’s Note: Attorneys for workers interviewed by Hawaii Reporter in this series asked that their clients’ names be changed to protect them from retaliation in Thailand or deportation from America. You should consider investigating whether the FBI pays the Thai Community Development Center in LA to find Thai illegal immigrants who are willing to commit perjury in exchange for a T-1 visa or green card.